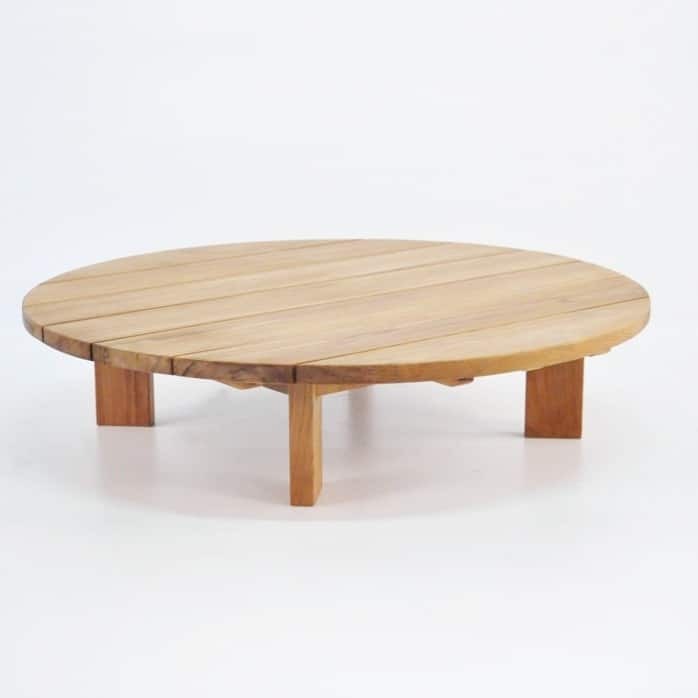 Dramatic, cultivated and pragmatic; the Soho Teak Round Coffee Table is a must have! 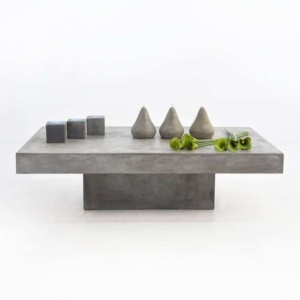 The Soho Collection is modeled on loft living, and the art scene in New York City. A solid, rounded framework that epitomises modern style and fashion. 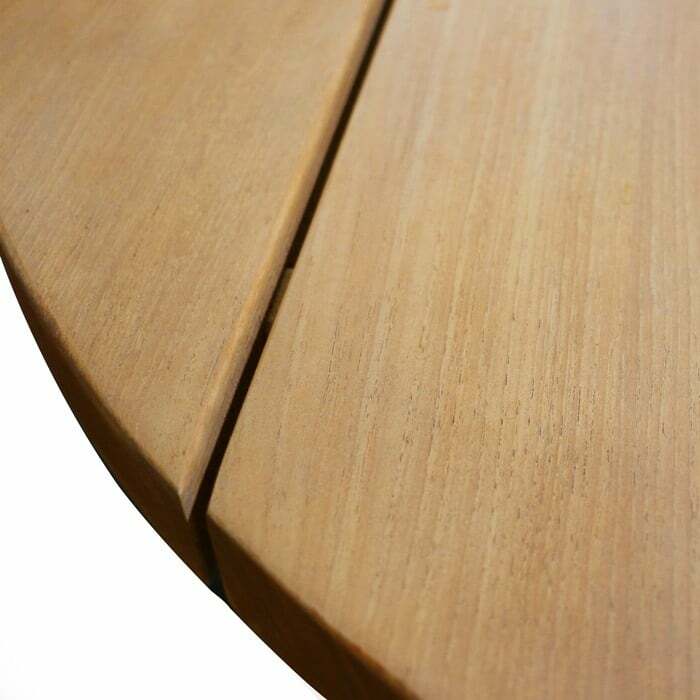 This round teak coffee table, with it’s large circular design, features polished slats of Grade A Teak wood accented by 316 marine grade Stainless Steel bolts, with a partially hidden base; making this gorgeous table look like it’s floating just above your floor. Many of our clientele have purchased this round teak coffee table for indoor use as well as out. We’ve sold it to showrooms and offices, spas and retreats, and for your sitting room as well as in the lush surroundings of your outdoors. Try pairing up the Soho Teak Round Coffee Table with a few Soho Club Chairs for a great, aesthetically pleasing meeting spot. Place it in between the Soho Grande 3-seater Sofa and Loveseat for the ultimate relaxing area. Need assistance configuring the best look for you? Our friendly, knowledgeable sales staff are on hand 7 days a week, ready to help you create the perfect composition.